Nigerian superstar singer, Wizkid, has sparked controversy on social media after his recent post on his Instagram story. 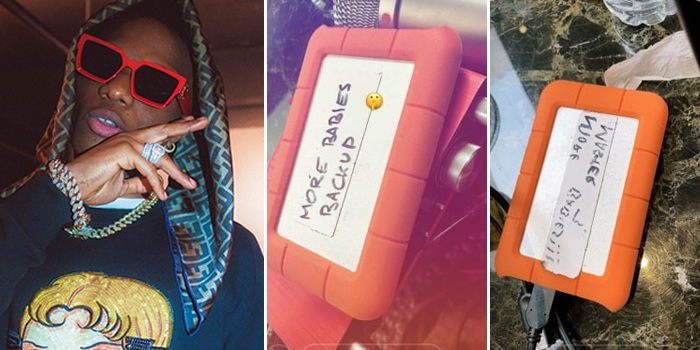 It appears the latest trends amongst Nigerian celebrities is bearing kids out of wedlock. The likes of Davido have two, Timaya is a proud father of three and Wizkid a father of three as well. Well, from the look of things, it appears the Daddy Yo crooner is enjoying being a father so much that it appears he may be willing to have yet another one. He took to his Instagram story to share a photo hinting on the possibility of having more kids. Wizkid who has had three kids from three different women continues to be a topic of discussion concerning his method of fatherhood.